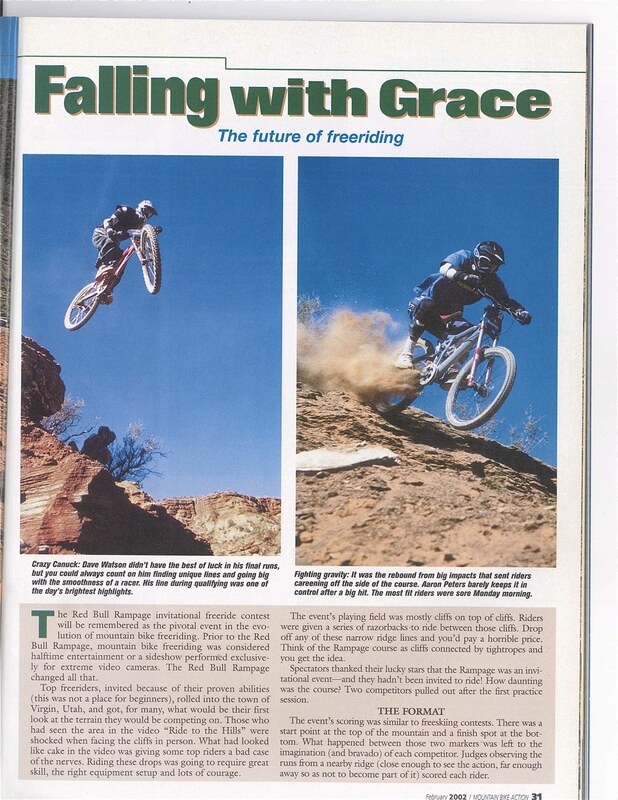 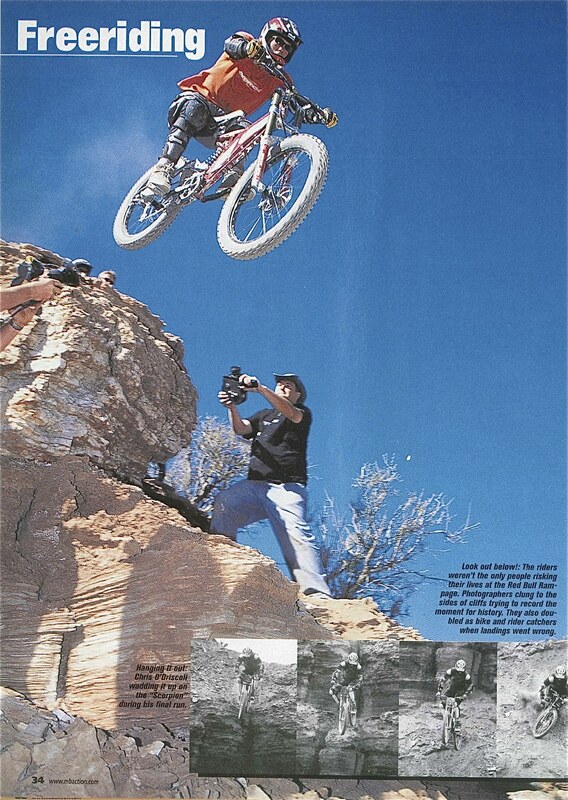 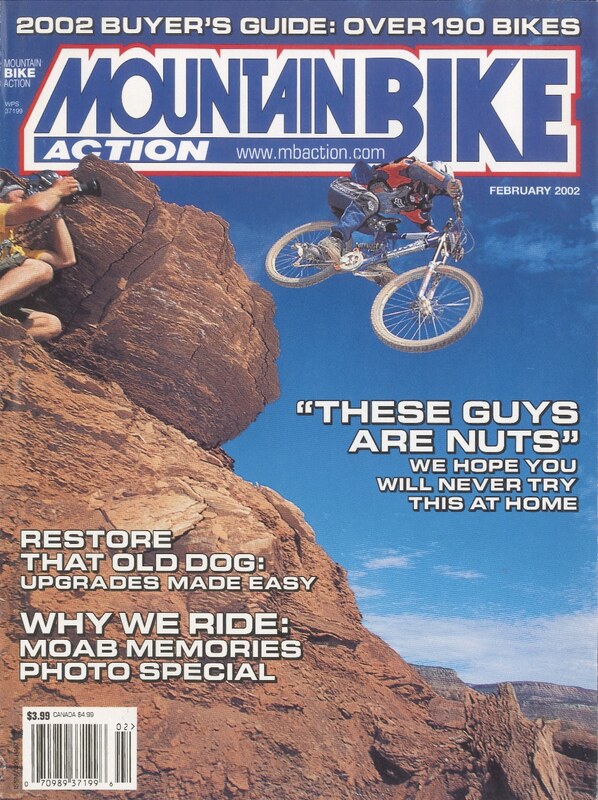 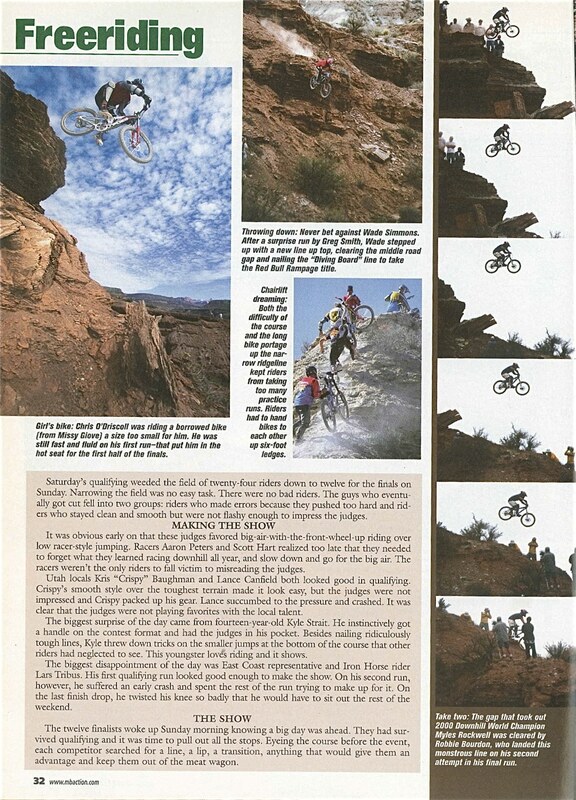 Richie Schley got the cover shot on MBA with this drop from the first Red Bull Rampage. 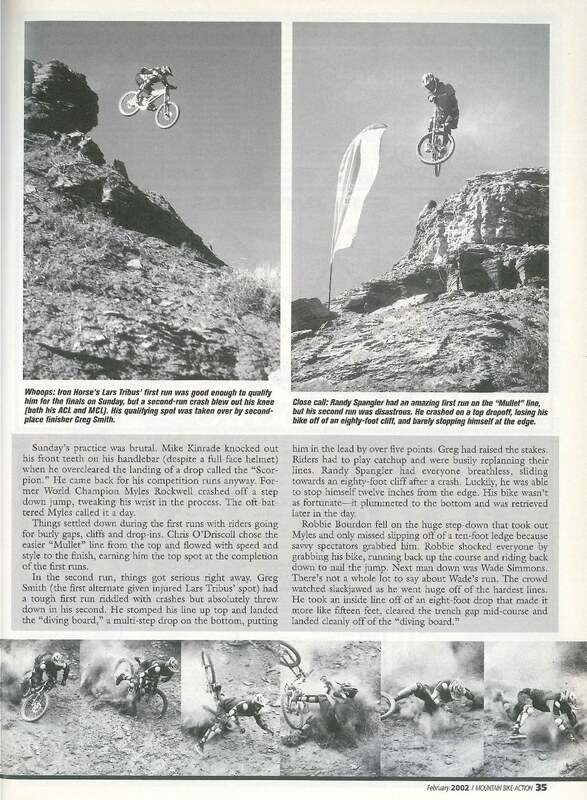 Mike Kinrade knocked out several of his front teeth after over-clearing the landing on the “Scorpion.” He ignored the pain and went on to finish fifth. 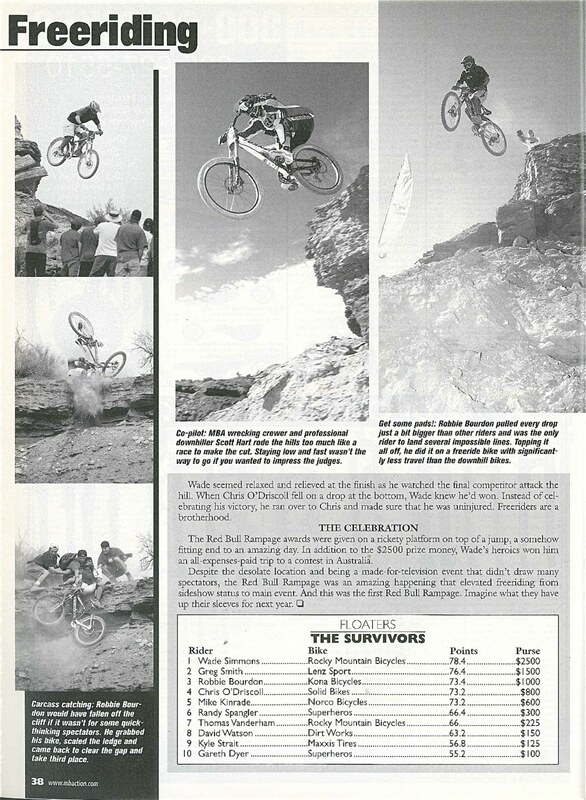 Dave Watson (above left) and Aaron Peters (above right) were two of the stars of the first event. 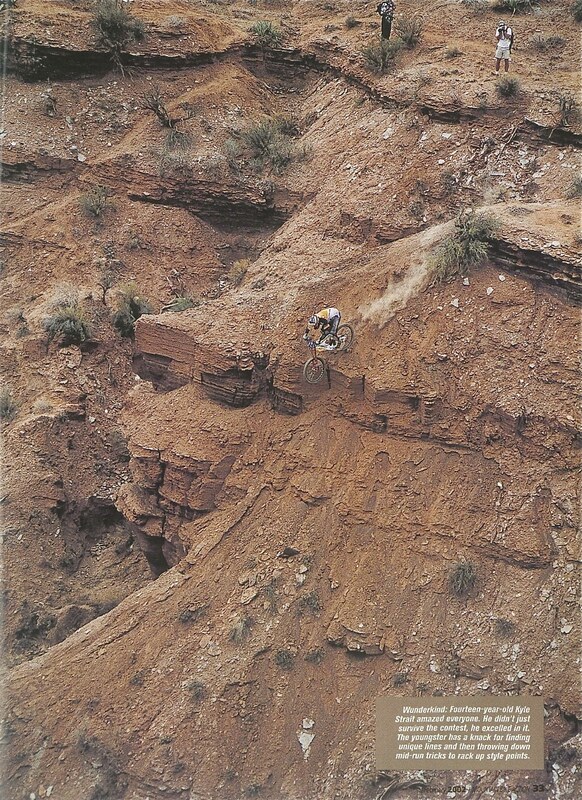 Fourteen-year-old Kyle Strait finished ninth in this first Rampage. 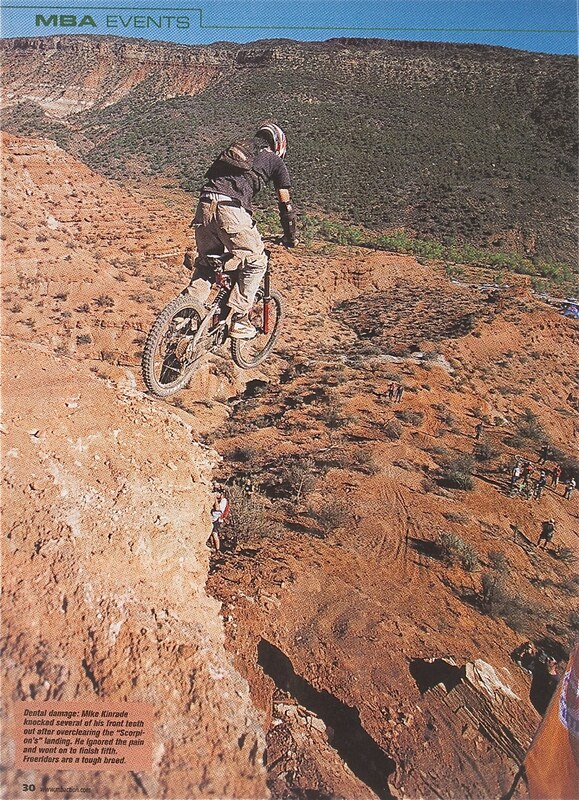 He’s competed in every one of the 13 Red Bull Rampages held to date and won twice (in 2004 and 2013).